Flk C.A. Larsen (1926) with three catchers outside Steward Island after running aground on the way north from the Ross Sea in nice weather 21/2-1928. It succeeded to pull the ship off the ground. The ship could go its own steam and was set up on a sandbar. The ship and about 90% the cargo was salvaged. Next season, the ship was in the Ross Sea. After World War II sold to Whaling Company Antarctic AS in Tønsberg and renamed Antarctic. Mer on Flk C.A. Larsen her. Whaling boat Cheynes III ex Looma III -63 ex Thorgrim -62 built in 1947. These catchers was not scratched by the ice when they went in warm waters off the west coast of Australia, so all this rusty enough rather the result of lack of maintenance. I 1978 whaling was outside Australia banned and the boat was laid up. I 1982 she was sunk outside Albany and is today a destination for wreck divers. This is whaleboat “C.A. Larsen”. This boat is the only one of five catchers built by Smith's Dock “Juan Peron”-expedition tilfallt Pesca. When the money was not transferred in time sold the yard all the other boats, bl.a. to Norway. A / S Western Australias hvalbåt “Commonwealth” the unknown French port. “Commonwealth” trapped in 1912-16 to Flk “Perth”. Aerial view taken by the land station Cheynes Beach early 1980s. The station let down whaling in 1978. 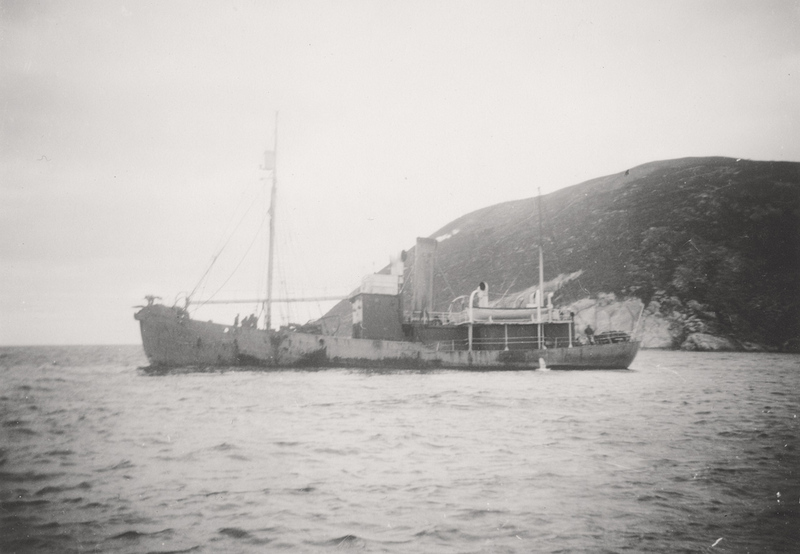 Whaling boat on land Cheynes IV (ex. Wilfrid Fearnhead), it was hoisted on land 1981 and is part of the Museum Whale World.